"I like gadgets and like a lot of people I occasionally see something I just have to have. The problem is six months later it’s often rattling around in the bottom of a drawer. The same can’t be said for the Keyport. Originally designed by a motorcyclist, who didn’t like the mess and hassle that keys make of the top of the triple clamps when your key is in your bike, he expanded the idea to make the most of your key fob while minimising its size. The idea of having all my most frequently used keys in one place appealed as I’m often misplacing my keys. However, I must admit I thought this could backfire on me big time. It seems counter-intuitive for something so small but haven’t misplaced my keys yet, well not for more than thirty seconds anyway, since I got the Keyport." Everyday carry (EDC) refers to various items, usually small, that are worn or carried by a person on a daily basis for use in everyday tasks from the mundane to the unexpected. "As an EDC enthusiast, it is pretty obvious that I am a big fan of multi-tools - Swiss Army, Leatherman, Gerber, etc. I own at least one of each and still use them on occasion, but Keyport is what I carry with me on a daily basis. It holds up to six keys and /or tools in a box that is about the same size as a box of Tic Tacs (I borrowed this from their site, but it is true). The thing I have found that separates the Keyport from other multi-tools and key holders is that I use every key (house, work, and mail) and every tool (USB, pen, and mini-light) at least once a day, so from an efficiency standpoint, it has definitely earned its position in my everyday carry..."
The Keyport Slide 2.0 is perfectly pocketable, like a small pack of gum. When it comes to EDC (everyday carry), less means more – more room for stuff you can cram on your person! Joking aside, it is so convenient to be able to have tools available without having to feel them. If you’re the kind of person who has always shoved keys in your pockets, you deserve a little less poking, jingling, or torn clothing. 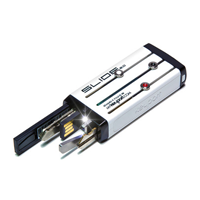 Although the Keyport Slide 2.0 is made of plastic, it’s actually well-built and durable. At least for the typical activities one might put their keyring through. There are two sides to this wonderful little gadget: the keyring end and the business end. The former should be self-explanatory. It clips to a split ring via the included (locking) S-biner. As for the business end, that’s where all the goodies pop out from. Think of it like a traditional Swiss Army knife. But instead of having each element swinging open in an arc, the Keyport Slide 2.0 thrusts them forward like an igniting lightsaber. A trio of nodes are on each side – six in total. They’ve been designed in such a way that you have to press down on a node before being able to push it forward. It’s a smart, effective way to keep the various attachments locked into place. 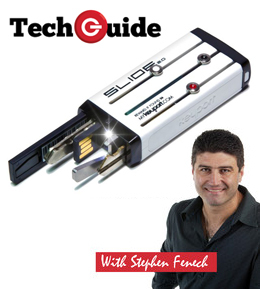 Gentleman's Choice approached Keyport and wanting to review and trial the Keyport Slide. "We at GC hate clunky keys. 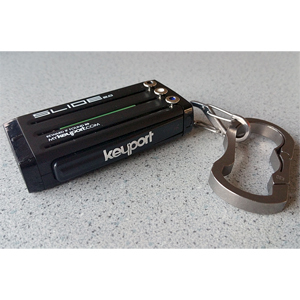 Thank goodness the guys at @thekeyport have come to save us with their multipurpose #Keyport Slide 2.0 with custom key blades, USB flash drive, mini light and bottle opener. 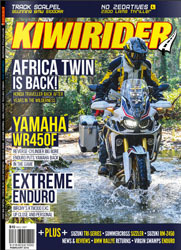 It's become part of our everyday carry and we are loving it!" "If you're sick of shuffling through keys on a keyring to find the right one, a new gadget called the Keyport Slider can help you stay organised. Please read the full article to take a closer look and to see how you can get 'ported'." 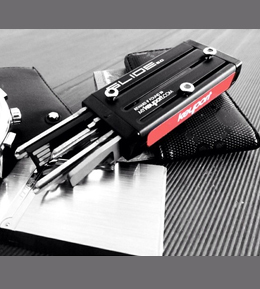 Keyport is now available at nearly 40 local dealers around Australia. Gadget Australia are passionate about just two things, Gadgets and Technology. They exclusively cover the local Gadget and technology sector including interesting new concepts in the Tech sector, as well as new consumer technology and reviews in the Australian context.